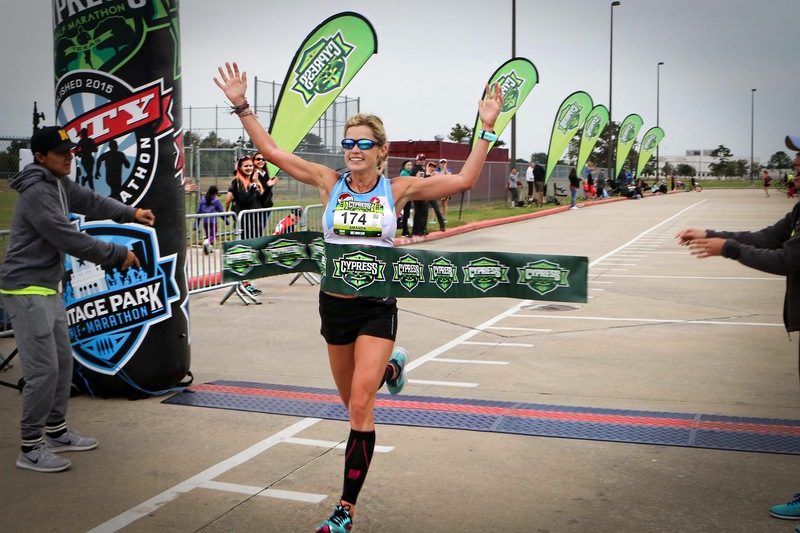 The Woodlands Township hosted its annual hometown 10 for Texas race with 1,400 participants in the 10 mile race; a 5K race and 1 mile kids race on Saturday, October 14. Finish Strong Racing had 38 team members run the 10 mile race. Despite the heat and humidity, the team persevered claiming Male Master’s, Female Grandmaster’s, and several podium wins. Congrats to all! Michelle Howard – 1:35:05 (This was after she ran 8 miles to start the race! Huge thanks to Christi O’Neal who treated team members to myofascial stretching post-race at our tent. We are all grateful! 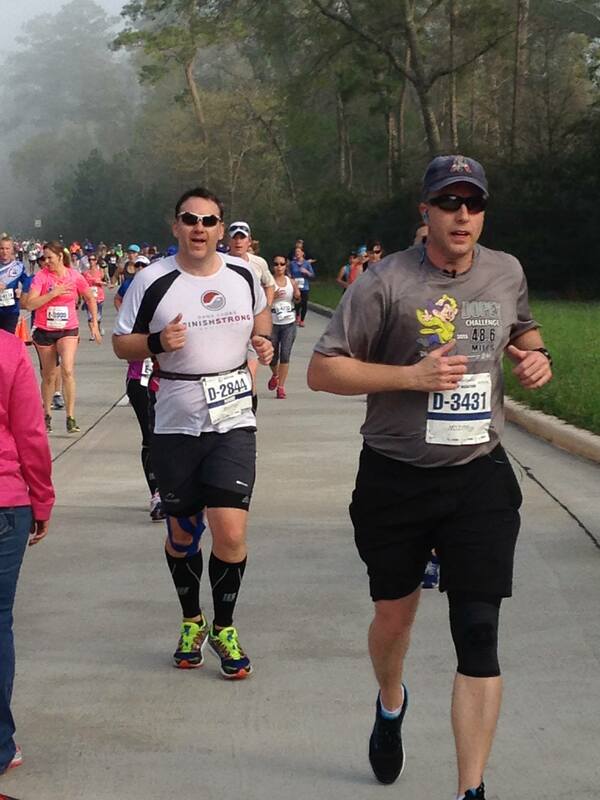 John McGowan finishing strong on the run! Scott Peterson – 2:19:27 – 3rd overall! Also, several parents of our SelecTRI Youth Team participated in the Olympic Distance race – Dana and Chris Sutter and Michael Diehl. Way to go! In the sprint distance race, Coach Jack Alexander, 63 years young, claimed 3rd overall in 1:11:51. Congrats Jack! Congrats to Finish Strong Racing’s Dale Claudel who was the overall winner at the Oktoberfest Tri in Fulshear, Texas on October 7th. Dale cruised to finish the race in 1:53:36 with a smoking 27.5 mph bike and 6:08/mile final run. Way to go, Dale! 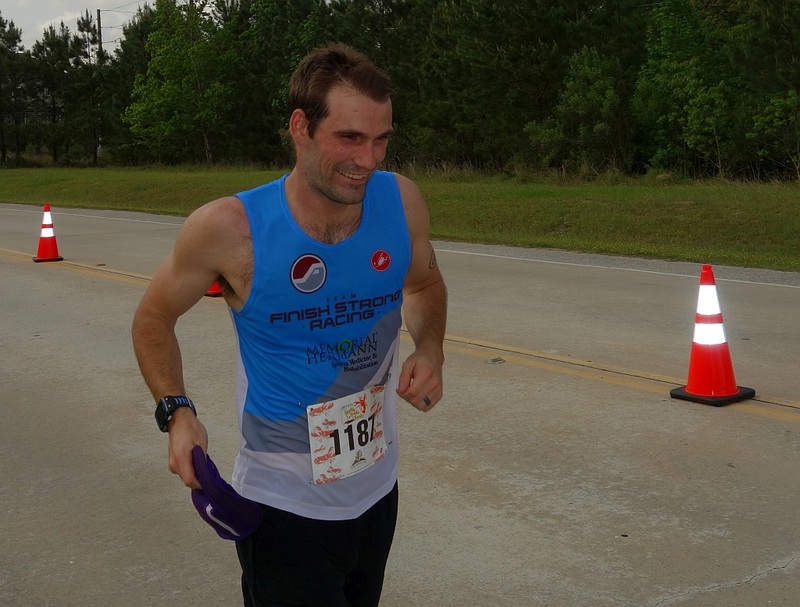 Congrats to our Finish Strong athletes who competed at Tejas Sugar Tri race held on Sunday, June 4th in Sugarland, Texas with 279 participants. Alan Jones was 2nd in his AG and 8th overall. Jack Alexander came in 1st in his AG and 15th overall. Kim Jones was 7th in her AG. Two of our SelecTRI juniors – Kensie Gunter and John Golden also did very well at Tejas Tri. John won his 15-19 male division in 1:06:46 and Kensie won her 15-19 female division in 1:07:48. Congrats to all! Congrats to Dulce Del Angel who completed her Grand Rapids marathon with a 6 minute PR and Boston qualifying time this past weekend in Michigan! Way to go!